For nearly two decades, family law lawyer, John C. Belt has been guiding his clients through divorce in Maricopa County’s Northeast Valley. Divorces in which one partner suspects the other of hiding assets are uniquely challenging; the typical challenges of a divorce are present—asset division, alimony, and child custody issues—but when “hiding assets” is brought into the negotiations, the potential to create new and intense conflicts arises. Call the Belt Law Firm at 480-837-3600 for the sophisticated and rigorous legal representation you will need in such cases. We have experience with some of the most challenging, complex, and intense separations including those that involve high assets, business ownership divorce, and prenuptial and postnuptial agreements for clients with vast wealth. Whatever circumstance you may face in a Fountain Hills divorce, Paradise Valley child custody dispute, or Scottsdale legal separation, you can count on the Belt Law Firm. 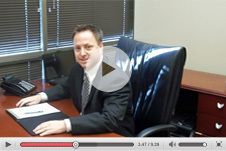 We are particularly experienced in divorces that require complex financial negotiations. A Scottsdale divorce attorney can help uncover hidden assets and undisclosed income. If you are considering divorce, you may be uncertain about the financial status of your former partner. Do they have hidden wealth? Have they disclosed all of their financial resources? Are they trying to keep property, business interests, and investments out of the negotiations? Do they have overseas accounts? If your partner has been hiding anything from you, you have a right to know. According to Arizona law, you, most likely, have a right to a share of hidden wealth and income. We can help you find the truth. The details of a divorce settlement can be intricate even in the best circumstances. But some divorces present increased challenges. At the Belt Law Firm, we have relationships with forensic accountants, property appraisers, tax specialists, and other investigators who will uncover the truth. Details of a couple’s financial life must be disclosed in order to have a clear and good faith divorce settlement. If you suspect your former partner is not being transparent in their financial disclosure, your settlement may be unsatisfactory. 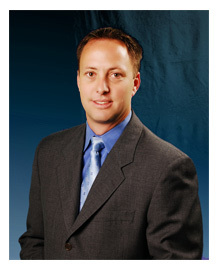 Contact Arizona hidden asset lawyer, John C. Belt to protect your legal rights throughout your divorce.